A few months ago, the BC Government announced yet another increase in the penalties for distracted driving tickets in this province. I have previously written about the manner in which these penalties are pretty much a long-con cash grab for government. What the Government hasn’t announced, and what it probably did not know would happen, was the manner in which RoadSafetyBC would step in to craft their own form of severe “justice” in cell phone cases. It’s no secret that the folks at RoadSafetyBC are all about severe and swift penalties for decisions that drivers make. Just look at the Immediate Roadside Prohibition scheme. Or the mechanism they use to impose mandatory referrals to remedial programs on the basis of historical acts. So that they had some ace up their sleeve in the sense of penalizing drivers for cell phone offences is hardly a surprise. What is surprising is the extent to which they are doing this. And this is the Government’s big cell phone enforcement secret. Currently, RoadSafetyBC administers the Driver Improvement Program. This is a program designed to improve driving by stopping your driving. The number of Driver Penalty Points that you receive will translate into an enforcement action: warning letter, probation, notice of intent to prohibit, and prohibition. Their policy manual is found here. For experienced drivers, you’ll see on page 12 of the manual that an accumulation of 9-14 points should result in a warning letter; an accumulation of 15-19 points should result in probation. But for cell phone offenders, this guideline is simply not being followed. Instead, there is a separate policy, detailed on Page 13 of the manual, for “high risk drivers.” This policy is simple: two distracted driving tickets, and you’ll lose your license for a minimum of three months and a maximum of twelve. This will also apply if you have a combination of high-risk driving offences, like excessive speeding, driving without due care and attention, or driving without reasonable consideration. They seem to stop at eight, as I have seen some cases with more than four where the prohibition remains at eight months. This is a significant intervention and perhaps one that is uncalled for in many cases. Remember that driving prohibitions do not just function to correct behaviour. In many instances they function to destroy lives. A large majority of people depend on the ability to drive to run their businesses, maintain their employment, protect their personal safety, and fulfill their family obligations. And while distracted driving is obviously a problem, how much of a problem is not reliably clear. So why is the Government taking such a hard line? It may be cynical. I’ve been called cynical before. But it seems to me that again this is less about correcting people’s behaviour and more about separating people from their money. Any logical person, facing the prospect of four to eight months off the road, would want to dispute that. If you drive enough that you accumulate two to four cell phone tickets, you probably rely heavily on your driving. RoadSafetyBC charges people for the review letters, $100 a pop. And if the prohibition is not revoked entirely, RoadSafetyBC will also collect a $250 reinstatement fee for the lesser prohibition length, after it is served. If a driver does not dispute and waits out the time, they still have to pay the $250. This means that for every prohibition for distracted driving, the Provincial Government is pocketing between $250 and $350 from drivers. This is on top of the $368 fines and driver penalty point premiums charged to drivers for each of the cell phone convictions. Does four or eight months off the road – to a person who has never before had any driving prohibition – really teach them a lesson? Yes, but the wrong lesson. What it teaches people is to be distrustful of Government and their motives. It teaches people not to change their behaviour but to be angry at the long arm of the state for loss of employment, income, family time. The same lessons could likely be learned by a much shorter driving prohibition. My challenge to RoadSafetyBC and the Government is this: if you are truly serious about changing behaviour and attitude in relation to distracted driving, find another way. Make drivers complete an education course. Make drivers write an essay setting out research on the issue of distracted driving deaths. Take corrective measures that aren’t aimed at imposing lengthy, life-altering driving prohibitions and extracting cash from hard-working, now not-working citizens. Have them participate in lectures to high school students or public awareness campaigns. Make people do things that change behaviour, not ruin lives. Great article, but unfortunately, I think they are following their manual. The government with their most recent announcement, decided to make driving with a cell phone, a "high risk" behaviour, which puts it on par with drunk driving, street racing, etc. The policy implications were only logical to come after that designation was assigned. I dont agree with it, but not surprise in the least. Unfortunately, the people will continue in their peaceful slumber of Facebook, and think that it does not impact them. 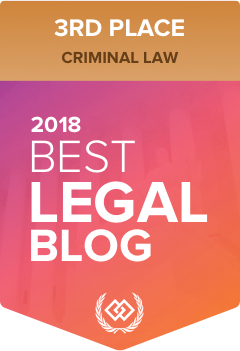 Vancouver Criminal Lawyer with a focus on impaired driving, cannabis legalization and related issues, and immediate roadside prohibition defence. Copyright 2019 Kyla Lee. All Rights Reserved.